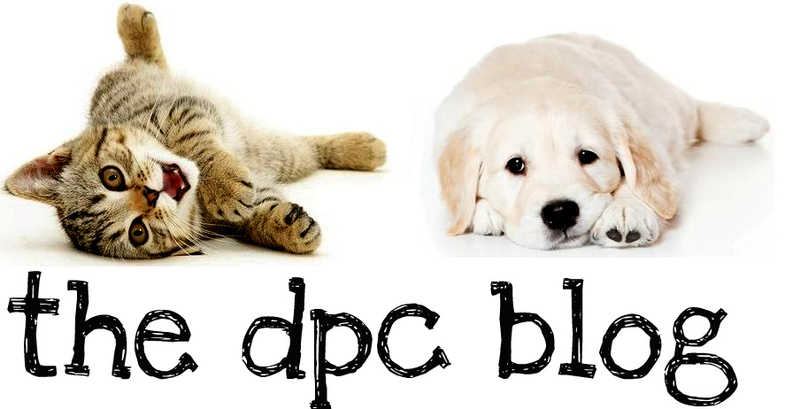 DPC's Blog: Rabies license tags. Rabies license tags; Do you really need one? Many people believe that rabies license tags are an unnecessary expense. I can't tell you the number of times that someone has come to my counter to check out and upon being asked if they would like a Broward County rabies tag, have looked at me as though I have sprouted a second head. Half of these clients believe the license tag to be a sham; an unnecessary fee added to their bill in order for us to make more money. The other half have no clue what a rabies tag really is or why they might need one. For starters, let me assure you that the clinic (or any clinic for that matter) does not make any profit off of rabies license tags. We simply offer and carry the tags here for our client's convenience so they do not have to go through the county directly. Furthermore, it is our job to inform you that yes, every pet regardless of size, breed, age, or because it's "Indoor only" does require a rabies license tag.. by law. Here are a list of frequently asked questions I have typed up to help you better understand rabies license tags, what they really are and why you need one. Q: Why does my cat need a rabies tag? He doesn't wear a collar! Those are for dogs! You are not spending the fee on the tag - it is the license & registration that the fee is for. The registered license number is what you are required to have, whether your pet is wearing the tag or not. Any pet that even sometimes goes outdoors needs to wear a collar, and subsequently a tag. What would happen if one day your door swung open and your pet dodged out and ran off? He may usually be indoor-only but these things happen every day. Wouldn't you want your pet to trace back to you as quickly as possible? Remember that Broward County officers do sometimes do door-to-door checks. When an officer knocks on your door and asks you for proof of your rabies license, the rabies certificate is not going to be sufficient. "We have the paperwork proving the vaccine is current" is not going to keep you from getting a citation from the County. Q: Why is the tag more money if my pet is not spayed/neutered? This is one of the many perks of spaying & neutering. Spaying & neutering is essential to the health of any pet, especially as they go past 1 year of age. The County are the #1 advocates of altering your pet. Unfortunately, in every county in the entire country the license for an unaltered pet is more expensive. If you have any questions regarding other advantages of spaying & neutering your pet please refer to our previous post on Spaying & Neutering Myths. Q: Where does the money go after I pay for the tag? The County uses all license fees to fund such things as the animal shelter and all of it's programs and advantages. Without licensing fees your County would have no financial resources toward vital programs that benefit both pets and their owners. Q: My pet never leaves my home; why does he/she need a rabies tag? As mentioned in the first Q&A; you are not paying for the tag nor is the County forcing you to put the tag on your pet - you are paying for the licensing, and the registration number that is on the tag. The county needs to be aware of all pets and their vaccination status by law. This is needed for the safety of all owners and their pets. It puts all pets in a cohesive database trackable by tag number which clearly states the vaccination status of all Broward County pets. Q: I'm not going to get a tag - what could the county do? Well, for starters let me inform you that by law we are now required to furnish a report of all rabies vaccines given at our facility. Which means that whether it be 2 days, 2 weeks or 2 months from now; more than likely the county will know that you have a pet with no valid rabies tag. Even if you have never received such a notification in years prior. While you do normally receive a written warning that gives you 30 days to purchase a tag and supply them with the proof, the County has been known to issue citations with no warning if they feel the situation calls for it or if this is a repeat offense. In the event that you do receive a warning and are given a 30 day window to purchase the tag, do not rely on your veterinarian's office to notify the county of your purchase - you will need to follow the instructions in your written warning. If you have any additional questions regarding licensing, rabies vaccination or county citations please either refer them to Broward County Animal Control - www.broward.org/animal or 954-359-1313. Thank you for such a great info. I was able to come across this online service that allows you to easily edit your PDF documents. (http://goo.gl/3KDaqi) You can fill out PDF form, save it, fax it, and email it. You might want to try, it was good!